What a surprise. 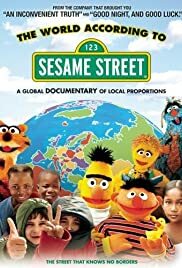 I had expected to watch a heartwarming DVD about the legacy of Jim Henson and how many lives Sesame Street has touched. That is what this movie is about but what I did not expect was how many millions of lives this simple show has touched. It is a documentary about the work of people trying to get something on air that stresses the importance of literacy, tolerance, love, and the joy of learning. The stories were touching as we see how individual members of the Sesame Workshop (more a global media consulting firm than anything else) overcome political, ethnic, and religious obstacles to touch the lives of millions upon millions of children from South Africa, Palestine, Kosovo, Bangladesh and around the world. While the piece on Kosovo was tragic, the part about Bangladesh was moving. Along with everything else America exports, this is one of the "products" that makes America truly great.